Conflicting, or at least confusing, Dallas police reports are not making it easy to understand what happened at the Thursday protest where a sniper killed five policemen & injured seven others. Police arrested three people & originally claimed multiple snipers coordinated the attack where some officers were shot in the back. Police now claim Micah Johnson was the lone sniper & after a stand-off that lasted hours, they blew him up with a robot bomb. So many questions, so few answers that make sense. According to the Dallas chief of police, the sniper Micah Johnson told police negotiators during the stand-off that “he was upset at white people” & “wanted to kill white people, especially white officers.” He told them he was upset about the recent police shootings in Minneapolis & Baton Rouge & “he was upset about Black Lives Matter.” That’s not a clear statement from the police chief. Was Johnson opposed to Black Lives Matter protests & angry at the protesters? Because the fact is that he shot into the crowd of mostly Black protesters who had to run for their lives. This might suggest he was not just targeting whites or white policemen but Black protesters also. Does any of that make any real sense outside of a derangement scenario? But of course it doesn’t answer why only policemen were shot & killed. Or were there others also gunned down? 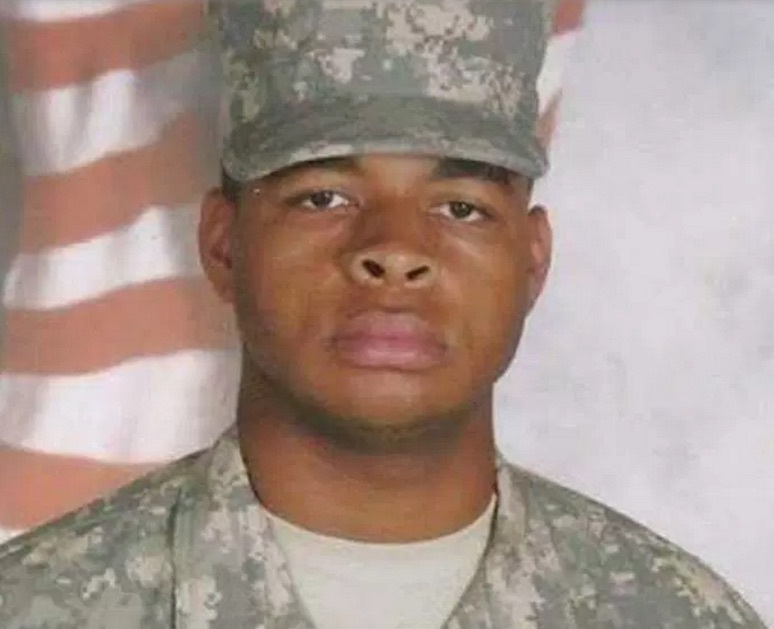 We don’t yet know anything about Micah Johnson or what motivated him to start shooting but he was a combat veteran deployed in Afghanistan. The US military trained him to use assault weapons & does not provide sufficient social services to re-acclimate trained killers back into civil society. It’s more likely he was psychologically unhinged & looked to violence to resolve his psychic & political conflicts & less likely that he was politically motivated. Analysts can pick through his resume looking for reasons for such extreme hatred but his deployment as a trained killer for the US Pentagon is likely where most of the answer lies. The response of Texas politicians to the shootings is nothing short of vile. On a Fox News interview Friday, Lt. Governor Dan Patrick said “All those protesters last night, they turned around & ran the other way expecting the men & women in blue to protect them. What hypocrites!” What did he expect them to do when they were being shot at? Stand in the line of fire rather than run for their lives? Did they know it was a deranged sniper shooting at them or is it possible they thought they were being shot at by police? But the Lt. Governor goes on in his interview, apparently thinking he can say anything on Fox News because it’s a place where anything irrational & racist flies. He blamed those protesting against the police execution of two unarmed men for the shootings of the police, “for putting police lives in danger” by protesting. He also lashed out at “people on social media with their hatred toward police.” Unfortunately, police officers might not be the top echelons deciding to conduct war against the Black community but they are the front lines of the assault. Criticism & protest are not expressions of hatred but a demand for justice. It is now beyond dispute that the violence is against the Black community not from Black drug gangs, as the narrative went for many years. But nevertheless the Lt. Governor said the violence against police has to stop. Nice try, but there are videos all over social media showing police executing two unarmed men this week in Baton Rouge & Minneapolis-St. Paul. Texas Governor Greg Abbott took a less strident tone toward the shootings by saying “Every life matters.” Even though it’s an attempt to undercut the civil rights mantra that Black Lives Matter, Abbott is right. All lives do matter, not just the policemen who were shot but the hundreds of Blacks shot down–now nearly one every day in the US. Our sincere condolences to the families of the police who lost their lives. Protesters had nothing to do with their deaths. May they RIP.